OhGizmo! 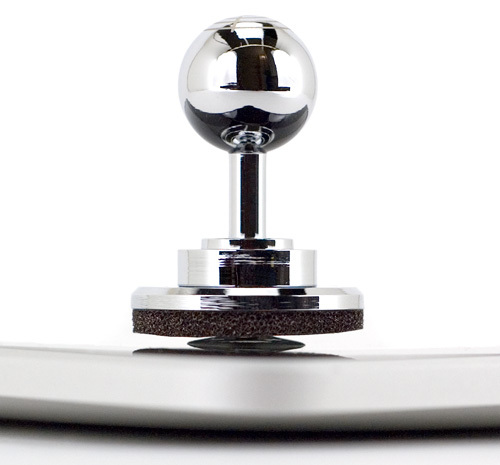 Review – ThinkGeek's JOYSTICK-IT iPad Arcade Stick. And Another Giveaway, Win One For Yourself! | OhGizmo! OhGizmo! 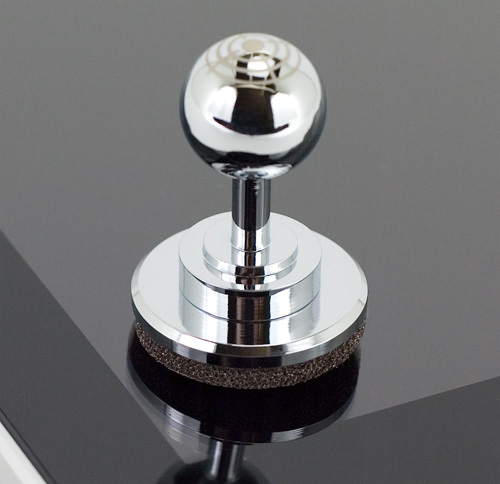 Review – ThinkGeek’s JOYSTICK-IT iPad Arcade Stick. And Another Giveaway, Win One For Yourself! The iPhone and iPad have certainly proven themselves to be worthy gaming platforms, though their touchscreen interfaces makes them better suited for certain types of games than others. While action games like racing titles certainly benefit from the devices’ built-in gyroscope when it comes to steering, games that have typically relied on physical buttons and/or joysticks don’t always translate so well. They’re not unplayable, it’s just that it’s hard to ensure your fingers are always properly hitting the on-screen buttons while keeping your eyes on the game itself. The ‘problem’ has already spawned a few third-party peripherals and solutions that add buttons and controllers via bulky cases and enclosures. But ThinkGeek has created something a little more elegant when it comes to the iPad. Their JOYSTICK-IT accessory attaches directly to the tablet’s screen, providing an old-school like gaming experience to any title featuring an on-screen directional controller. How well does it work? Well you can find my full review after the jump, as well as contest specifics since ThinkGeek wants to give one of our lucky readers their very own JOYSTICK-IT Arcade Stick. While they probably could have produced a slightly cheaper version of the JOYSTICK-IT if they opted to use plastic, I think ThinkGeek has made an excellent choice by choosing to manufacture the mini arcade stick from solid milled-aluminum. It gives it a nice bit of heft, a definite solid feeling and the polished chrome-like finish just looks great. There’s no risk this thing is going to snap in two during a heavy gameplay session, nor get damaged if tossed in a bag alongside your iPad or other tablet. And don’t worry about that polished finish affecting your gameplay. 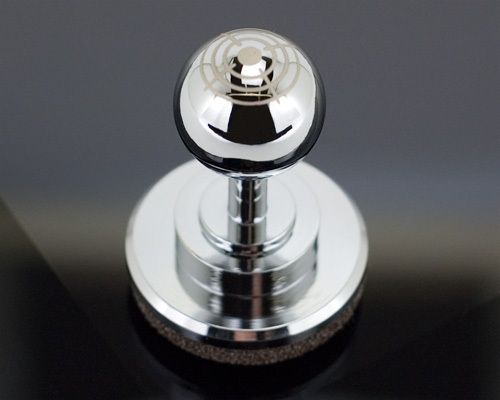 To provide a bit of extra tactile grip, and to prevent your thumb from slipping off, the JOYSTICK-IT’s even got a laser etched crosshair design on the top of the aluminum ball. It also looks kind of cool too. But given the JOYSTICK-IT doesn’t interface with the iPad in any way, you might be asking yourself how it could possibly work. Well not to spoil the surprise for those who haven’t figured it out, but it uses the same technique as those iPhone-friendly gloves and even the assortment of touchscreen friendly styluses now on the market. 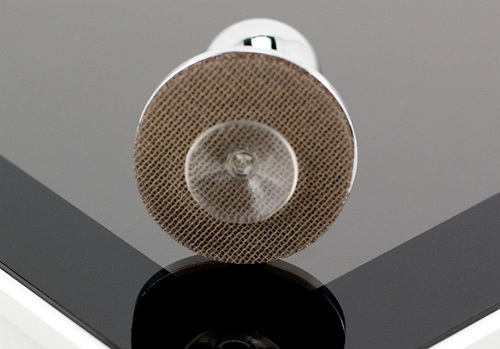 On the underside of the JOYSTICK-IT is a piece of conductive fabric that works just as well on the iPad’s capacitive touchscreen as a finger does. It also means that the JOYSTICK-IT will work with any device featuring a capacitive touchscreen, including the iPhone. Though given its size it’s not exactly ideal for a gadget that small. It’s definitely designed for larger tablets. As you can see the JOYSTICK-IT also employs a tried and true suction cup which is not only used to securely tether it to the iPad while playing, but also serves as a pivot point. As you can see here, when attached to a display the bottom of the JOYSTICK-IT actually sits just slightly above the screen, so that when you’re not actually using it to play it’s not touching or interacting with the touchscreen. There’s also about a quarter inch of foam between the bottom of the JOYSTICK-IT and the layer of capacitive material which of course provides some cushioning between the aluminum and your glass display, but also provides a softer feel when you’re pressing in a certain direction. But how well does it work? Given the simple design and idea behind the JOYSTICK-IT it’s obviously no where near as effective as say a dedicated arcade stick on an external controller. But with the right game it can work surprisingly well. Part of its effectiveness relies on what the game’s on-screen controller is like. It basically only really works with the traditional multi-directional controller design since the JOYSTICK-IT is designed to sit right in the middle and push the ‘buttons’ as you move it in various directions. I tried it with Namco’s iPad version of PAC-MAN and it worked like a charm, though since PAC-MAN has never been my forte, I found the JOYSTICK-IT would occasionally pop-off the screen when I started to panic and mashed it too hard in one direction. But I chalk that up to me being a bit too hard with it, I actually feel the suction cup will work just fine under normal gameplay conditions. In fact testing it out with EA’s Reckless Racing (a fantastic racing title for those who enjoy rally racing or drifting in general) I was actually quite impressed with how well the JOYSTICK-IT worked. It held in place even through a few dicey races, and worked as well as using my fingers with the on-screen controls, if not better. 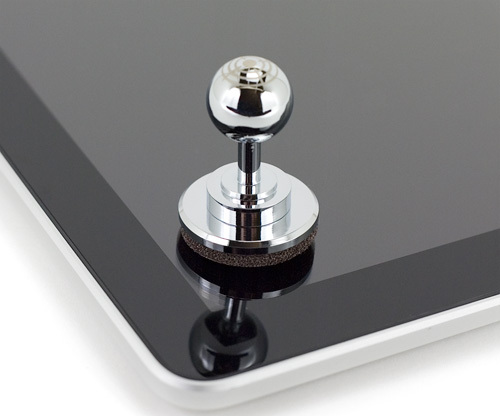 It’s definitely an ingeniously simple solution that can really enhance the gaming experience on your iPad. + Made from solid milled aluminum so it’s built Tonka-tough. + Easy to attach and remove as needed. + Works surprisingly well given its low-tech approach to providing a physical gaming controller to the iPad. + Supports any tablet or device with a capacitive touchscreen, though the larger the better. + Multiple JOYSTICK-ITS can be used on one display at the same time. – Can really only be used with games featuring an on-screen directional controller. If you have any questions about the JOYSTICK-IT iPad Arcade Stick watch band you’d like answered, please feel free to leave them in the comments, and I’ll try to respond to them as best I can. How to enter: Once again we feel that simple is always better. So to enter all you need to do is leave a comment on this article. And like last time, to better your chances of winning you’re welcome to come back and leave a new comment every day until the contest is over. Just be aware that if you leave multiple comments on the same day, all but one will be deleted before the winner is chosen. What am I winning again? : A JOYSTICK-IT iPad Arcade Stick sent to you directly by our awesome and generous friends at ThinkGeek. Timeframe: The contest starts today, March 7, 2011, and will end 5 days from now at midnight on March 11, 2011. (Friday night.) And again, if you’re not sure when that is specifically given the time zones across the country, just make sure to get your comments in well before the deadline. Don’t worry about getting them in at the last minute, I promise it will not help your chances. At midnight the comments will be closed and the winner will be chosen via Random.org. Eligibility: While we love all of our readers, unfortunately this contest is once again limited to only residents of the United States who are at least 18 years of age at the time of entry. The iPad 2 still can't do CSS2 (1998) position: fixed correctly. I'd love to have something like this – I play a fair number of games on my iPad, and a joystick would be fun to try and make them play that much more smoothly. I cant wait to get my thumbs on that! I've always skipped on those games with the “directional” controls. This should help me increase my games collection. I would definitely love to own this! Do want! Thanks for the chance to win one! I like the idea that you can beat a Xoom to death with it. please bring me some joy and let me win this stick! you see what I did right there? joy…. and ….stick …. get it? No whammies…. No whammies……………………………… STOP! Back to take advantage of the daily entries – Thanks again for the chance. This is exactly what I was looking for. It should definitly make Pacman much easier to play. Thanks for the great review and the chance to actually win one. My daily, and last, entry. Fingers crossed. Thanks again for the chance to win!